Brussels is being urged to investigate the Czech prime minister, Andrej Babiš, over an alleged conflict of interest after transparency campaigners claimed new evidence of rule-breaking. 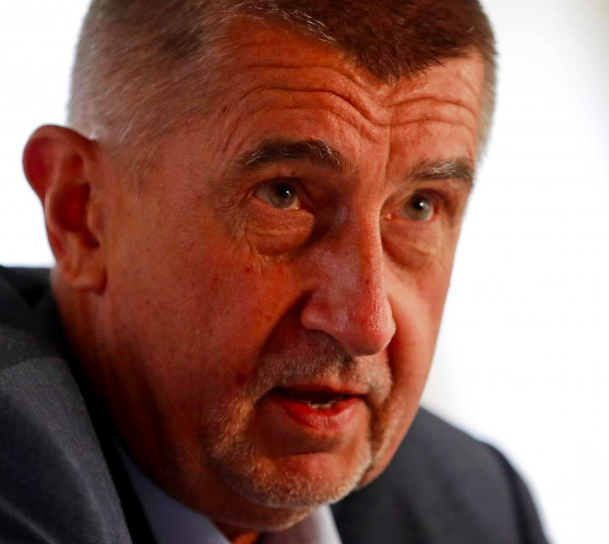 Babiš, a billionaire businessman, who founded the Action for Dissatisfied Citizens party, became prime minister of the Czech Republic last December, but was soon embroiled in a scandal centred on alleged €2m EU subsidy fraud. The latest allegations, from Transparency International, go further by putting the spotlight on his entire Agrofert business empire, a conglomerate of 230 companies spanning food, chemicals and media. Agrofert has rejected the claims as false. When he was finance minister in 2017, Babiš put Agrofert into a trust, to comply with new Czech legislation against conflicts of interest. But campaigners at Transparency International say he remains the “beneficial owner” of Agrofert in breach of domestic and EU law. They say the claim is based on research of company documents in Slovakia, as the Czech equivalents are not available to the public. The Czech Republic is one of the biggest per-capita recipients of EU funds, along with Poland, Hungary and Slovakia. Agrofert received 1.9bn Czech crowns (£68m) of EU subsidies in 2017, three times more than in 2012, according to Transparency International. The allegations come amid tensions between Europe’s traditional parties and anti-establishment rivals that are often critical of the EU, but want to keep European funds flowing. Questions have been growing over cronyism in Hungary, as it emerged Hungarian leader Viktor Orbán’s friends and family had been awarded public tenders worth millions. Agrofert rejected in a three-page statement what it called the “false claims” made by Transparency International, which it argued were based on a misinterpretation of the term “final beneficiary” in Slovak law. He said he had put the company in a private trust fund and given up his business before entering politics in 2014. He also accused Transparency International of running a politically motivated campaign against him and being “easily influenced” because it received funding from the EU and ministries led by the Social Democrats, the junior party in his coalition – and political competitors. “TI does not have any evidence for their words because there cannot be any evidence. I fully respect the law,” he said.